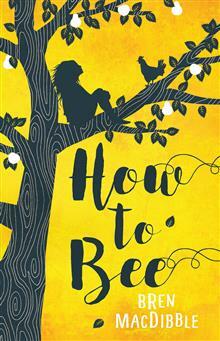 WINNER: CBCA Book of the Year for Younger Readers, 2018 WINNER: 2018 NSW Premier's Literary Awards, Patricia Wrightson Prize for Children's Literature WINNER: 2018 New Zealand Book Awards, Wright Family Foundation Esther Glen Award for Junior Fiction Sometimes bees get too big to be up in the branches, sometimes they fall and break their bones. This week both happened and Foreman said, 'Tomorrow we'll find two new bees.' Peony lives with her sister and grandfather on a fruit farm outside the city. In a world where real bees are extinct, the quickest, bravest kids climb the fruit trees and pollinate the flowers by hand. All Peony really wants is to be a bee. Life on the farm is a scrabble, but there is enough to eat and a place to sleep, and there is love. Then Peony's mother arrives to take her away from everything she has ever known, and all Peony's grit and quick thinking might not be enough to keep her safe. How To Bee is a beautiful and fierce novel for younger readers, and the voice of Peony will stay with you long after you read the last page.